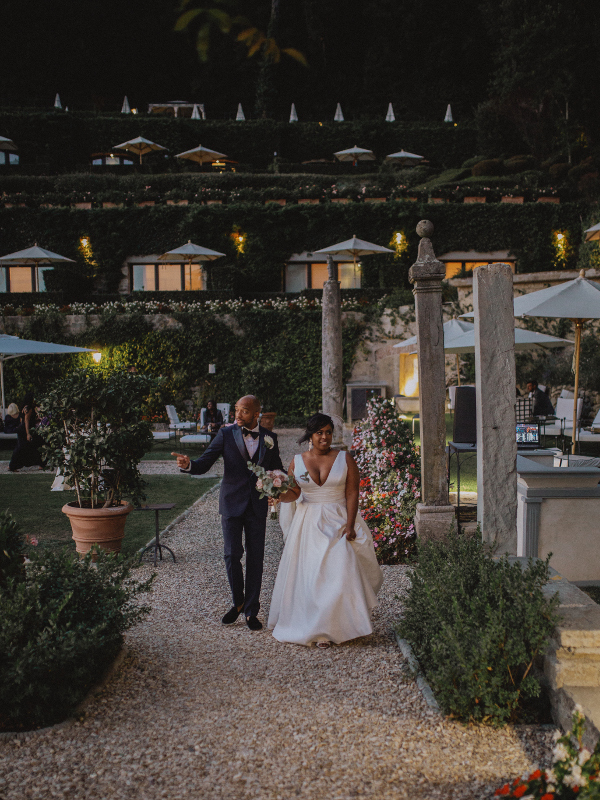 Hotel Belmond Villa San Michele wedding is title of post of today monday 19th of February 2018. 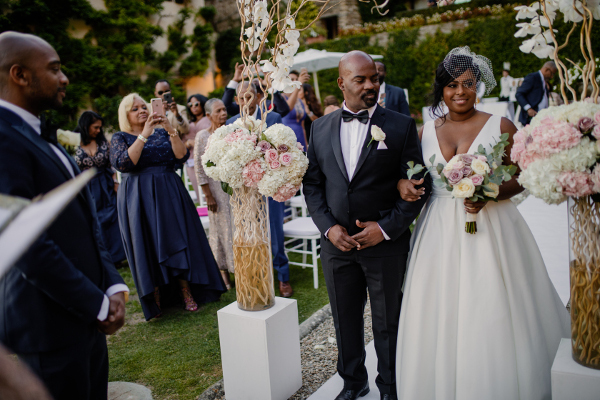 Couple get married on 5th of September 2017 in Florence they live in Florida, Karena is a TV producer and Chris is a businessman. 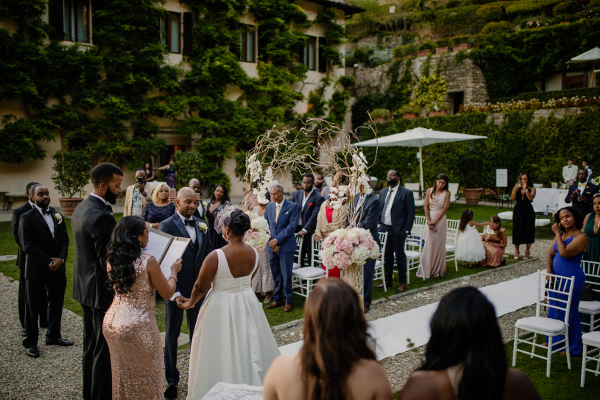 They opted for an intimate destination outdoor wedding ceremony in one of most amazing venue of Florence Luxury Hotel Belmond Villa San Michele in Fiesole. 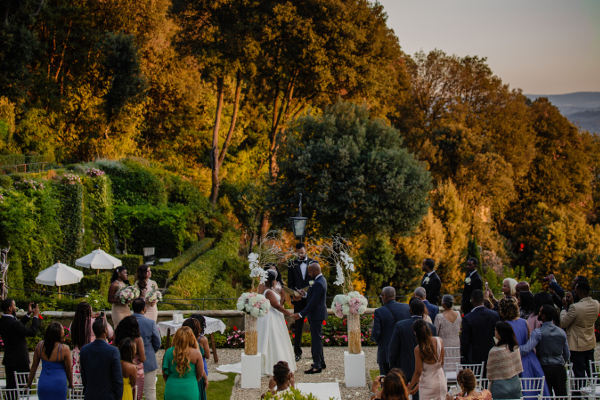 Reception was held at amazing luxury Sesto Westin Excelsior in the centre of Florence town. 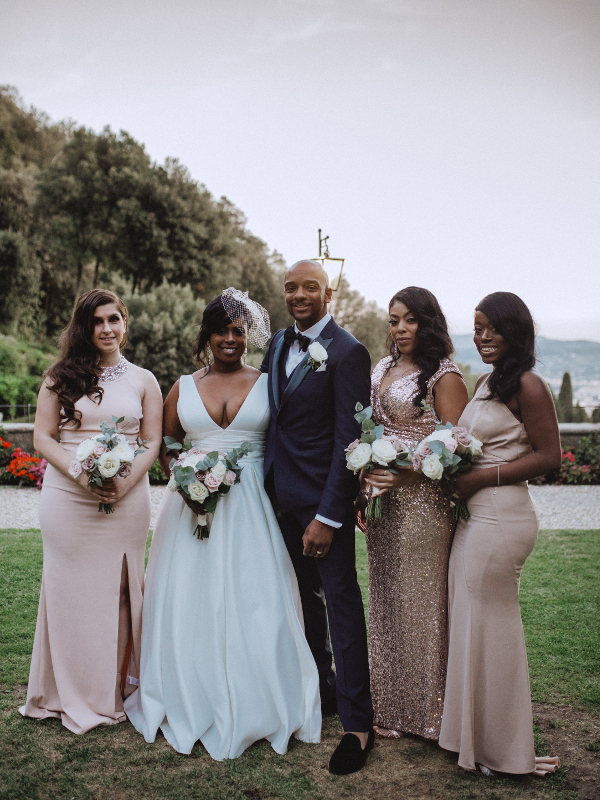 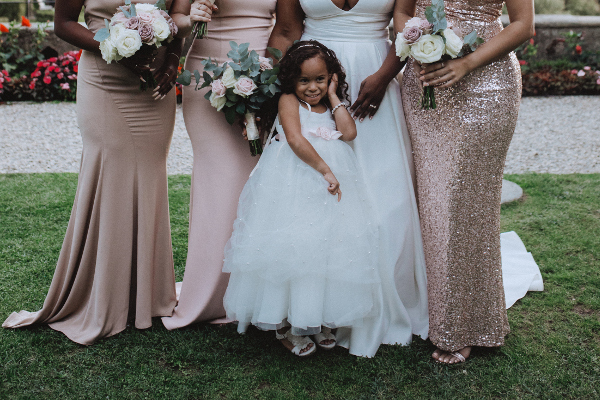 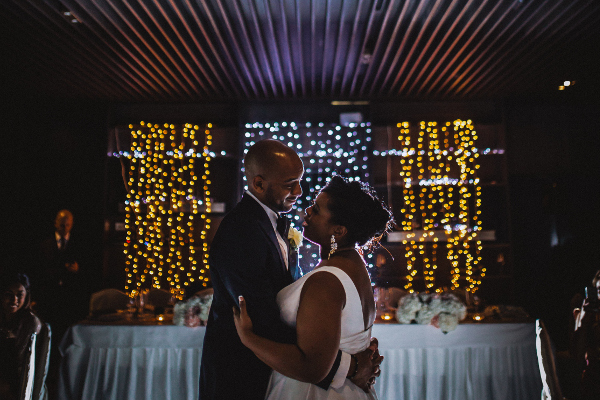 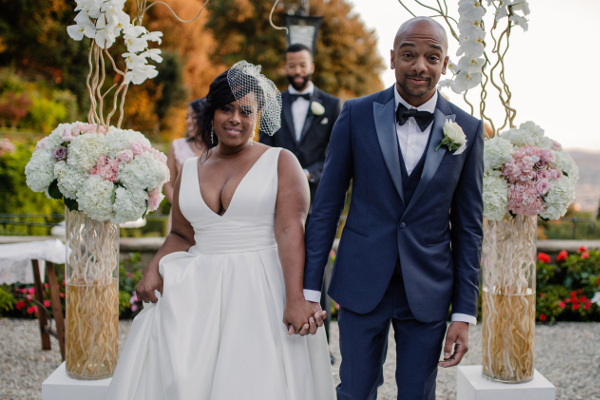 Beauty of this lavish urban destination wedding is all in details and stunning view of town from lovely bridal party dusty colors to magic ambient of reception at Sesto. 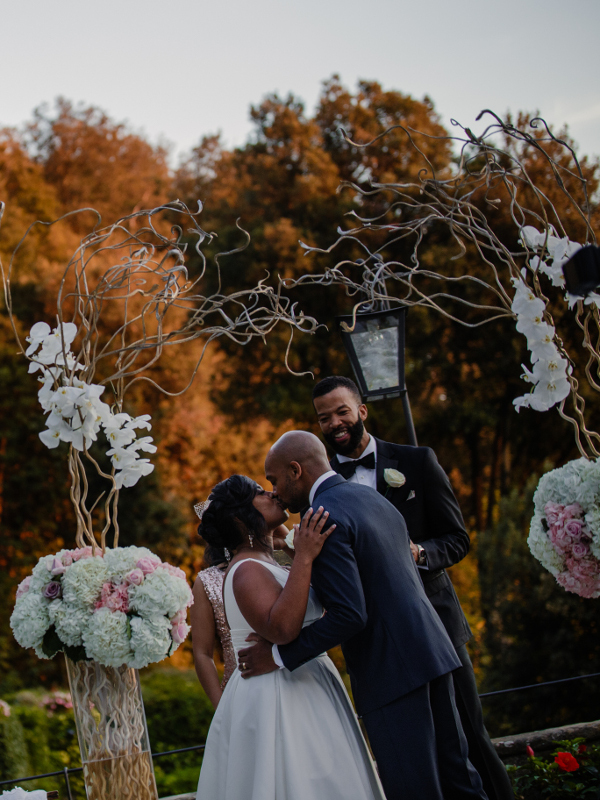 Flowers decor is modern and lavish with a wedding arch made of a rounded base of white & soft pink hidrangeas blended with roses plus golden branches decorated by pure white phalenopsis orchids . 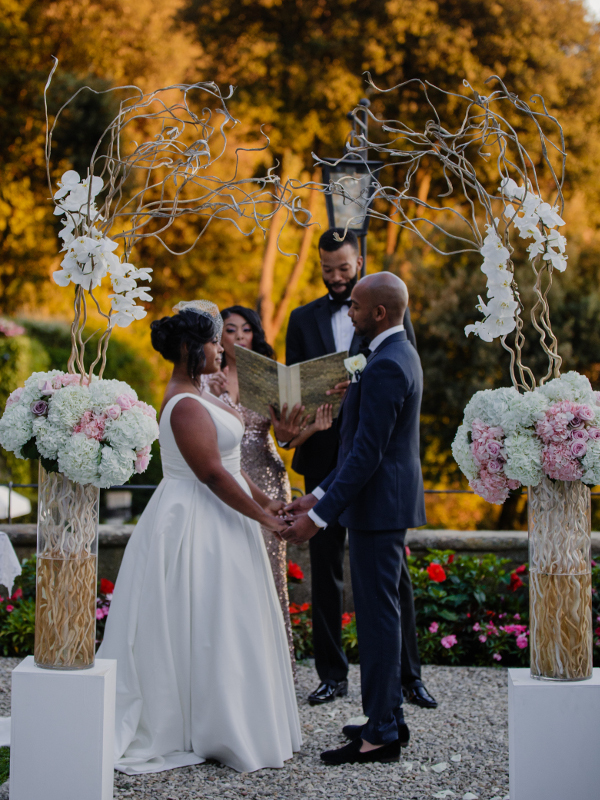 Bride carried a romantic han tied bouquet of dusty Amnesia roses and ivory roses mixed with eucaliptus leaves.